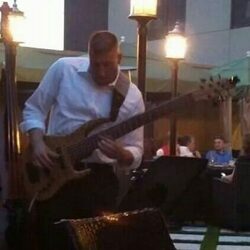 Electric and upright bassist based in Tuscaloosa, AL. Currently accepting Live and Studio work in Southeastern US and beyond. All genres: pop, rock, jazz, R&B, funk, etc. A.A. degree in Music Performance. Prompt, professional and always in the pocket. Style - Top 40 Wedding Band. Columbus, MS.
KT Futrell - Rock and Blues, Southeastern US. Shreeps Music - Original modern acoustic pop. Walk Up Music - Jazz, Blues, R&B and more.